Internet shutdowns: the “new normal” in government repression? A week before Christmas, without hearing any news of it, Ethiopians guessed that anti-government protests must have been violently put down by security forces somewhere in the country. How could they guess? It was the tell-tale sign: none of them could get access their social media accounts. Again. The Ethiopian government is among at least 30 administrations that have disrupted or shut down domestic internet access in the past two years, in order to restrict communications related to dissent, citizen action or politically sensitive events. And, according to a newly released UNESCO report, the use of this tactic is on the rise. Driven largely by political and national security concerns, state-ordered internet shutdowns are on the verge of becoming the “new normal”. And that’s why the human rights implications of increasing internet access denials — the United Nations declared internet access a human right in 2016 — is a key issue under urgent discussion at the Internet Governance Forum (IGF), held in Geneva from 18-21 December, 2017. A global multi-stakeholder body, the IGF is recognised as the widest-reaching international forum on internet governance. Repressive campaigns targeting online platforms are part of an unprecedented and growing trend of restrictions on fundamental freedoms globally, as indicated by CIVICUS Monitor, an online tool that tracks threats to civil society in every country. This trend is a growing concern to human rights defenders, as part of a greater pattern of shrinking of civic space globally. How to deal with this challenge was a point of debate at a gathering of more than 700 civil society leaders and activists from more than 100 countries at International Civil Society Week 2017 in Suva, Fiji in early December. Before the advent of the internet and social media, governments used different methods to restrict freedom of expression and prevent human rights defenders, opposition political party members and other citizens from expressing views that government did not like. States were known to seize complete editions of newspapers and impose bans on books to prevent the public from having access this influential information. Others who expressed views contrary to those of the government were arrested and detained and denied contact with the outside world. The phenomenon of internet shutdowns came to prominence in Egypt during the Arab Spring when the Egyptian government completely cut off internet access for several days to prevent Egyptians from mobilising and sharing images from protests. As citizens, journalists and civil society organisations increasingly use the internet and social media to share information, these platforms have become the new frontiers for restrictions on freedom of expression by governments around the world. Cameroon holds the unenviable record of one of the world’s longest shutdowns...restricting online and social media access for three months . As of now, the Sri Lankan online news website Lanka E-News has been blocked since 8 November and cannot be accessed normally from within the country. Access to the website was blocked after it published revelations on corruption in the procurement process for vehicles for the state. In India - the world’s largest democracy — the internet has been shut down more than 29 times since the start of 2017. Compared to 31 shut downs in 2016, the number of shut downs on the internet in India surpasses that of any other country in the world. It is followed by Pakistan, Turkey, Iraq, Syria and Ethiopia, according to AccessNow, an organisation fight for open and secure communications for all. At least eight other African countries including Cameroon, DRC, Mali, Morocco, Senegal, South Sudan, Somaliland and Togo have disrupted internet access this year. The length of these shutdowns have varied from a few hours to several months. Cameroon holds the unenviable record of one of the world’s longest shutdowns after the regime of President Paul Biya ordered telecommunication service providers and mobile phone companies to restrict online and social media access for three months in the country’s two Anglophone regions where widespread anti-government public protests were continuing. As in Cameroon, authorities in Togo shut down the internet in August as civil society and political opposition parties held demonstrations calling for constitutional reforms and for President Faure Gnassingbé to step down. The government cut off access to the internet to prevent protesters from mobilising and spreading to different parts of the country. Demonstrations continued. An estimated US$ 2.4 billion in GDP was lost globally in 2016 as a result of government-imposed internet restrictions. The prevention of rumor mongering and the preservation of law and order are the reasons the government of India gives when it blocks online access, usually after protests or civil unrest. Often the blockades go unexplained. Human rights groups and online advocacy campaigners however say that the frequent and often unexplained shutdowns is a strategy to curb freedom of expression online. Early this year, authorities in Belarus cut off the internet to prevent protesters and journalists from circulating images videos showing the violent dispersal of peaceful Freedom Day protests by security forces. But the deliberate interruption of communication on the internet also has huge economic costs. Many businesses that rely on the net are unable to transact. According to the Brookings Institute, an estimated US$ 2.4 billion in GDP was lost globally in 2016 as a result of government-imposed internet restrictions. Social media platforms and other forms of digital communications are increasingly used by citizens to share information quickly and efficiently. Many governments fear the power of the internet and social media tools especially during periods of political uncertainty. The governments of Uganda and Gabon blocked imposed an internet blackout during elections. What authorities do not realise is that, as with offline communications, repressing online communications generally fails to have the desired effect of curbing dissent, citizen action or even the spread of information. As states encroach on this space, citizens have found ways of circumventing online censorship to communicate during periods of internet blackouts. In Ethiopia, for example, where the government has direct control of the country’s only internet service provider, users simply turn to VPNs — virtual private networks which use servers based in other countries — to get around the blockades. Some have adopted less sophisticated methods like moving physically to the boundaries of neighbouring cities or countries where internet access is available, when they need to communicate. 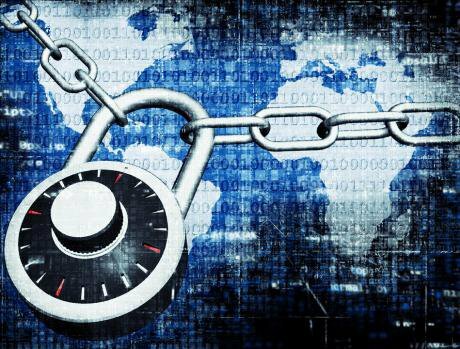 Others use free open sourced networks and software like Tor, Psiphon and Ultrasurf which allow users to remain anonymous by hiding their IP addresses and enabling them to bypass censorship. However, risks associated with using such technology includes authorities intercepting these networks and tools and identifying users in order to impose criminal charges. The UN special rapporteur on the promotion and protection of the right to freedom of opinion and expression, David Kaye, is currently gathering information on internet shutdowns for his 2018 report to the UN Human Rights Council (UNHRC). With that report certain to reveal a growing global impact of this practice on citizen’s human rights, the hope is that the UNHRC, with bodies like the IGF, will begin to find ways to hold governments that use it accountable for the human rights and economic costs. Unete a nuestro boletín ¿Qué pasa con la democracia, la participación y derechos humanos en Latinoamérica? Entérate a través de nuestro boletín semanal. Suscríbeme al boletín.